A comprehensive list of photo and video file types the GNARBOX supports in addition to information on transcoding you files. This article gives a more in-depth look at current GNARBOX supported and unsupported file types. You will also find additional information about transcoding audio and video files on the GNARBOX. If you are a GNARBOX owner and are experiencing a file type error, please contact us at support@gnarbox.com. If you do not own a GNARBOX and want to inquire further about file type support, please feel free to use the live chat icon in the lower right corner to get in touch with us. Click here for a full list of supported cameras. You are able to back these files up and move them around within the GNARBOX ecosystem. 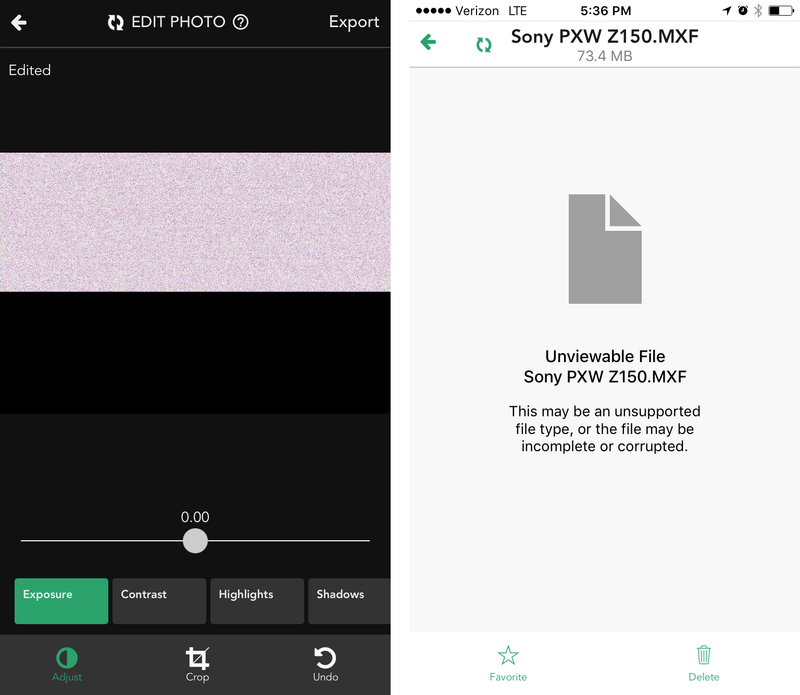 However, to edit the RAW files you will need to export them to your mobile device and open the file in Lightroom Mobile, Snapseed, or your favorite mobile RAW editing app. Despite the fact that ProRes files are often packaged in an .MP4 wrapper, the files contained within are not compatible with the GNARBOX’s video transcoder. XAVC users should also note that XAVC-S is supported, but any AVCHD and XAVC files are not. * For iPhone h.265 users, you are able to go into the Video Recording settings on your iPhone and change your settings to record in h.264 so that your video is compatible with the GNARBOX. We are working on an update that will allow compatibility for iPhone h.265 in the future. You are able to back these file types up and move them around within the GNARBOX ecosystem, but playback and editing are currently not supported for these file types. High frame rate and high bitrate videos can take longer to transcode depending on the speed and bitrate they were shot at. RAW audio will take roughly 1 second to transcode each second of audio. The GNARBOX will begin to preprocess the footage. Wait about 1 minute for every 1 minute of video shot. If you are trying to edit a 128gb card filled with fresh footage, you should expect longer transcode wait times, but this process will work great if you’re just looking to edit a drone flight or two!